As Tournament Organizers, we are ultimately responsible for the way our events are run. 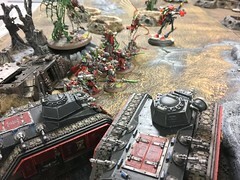 This covers all aspects of the tournament, from something as simple as how many points each player is allowed to use when creating their armies, to what restrictions will be enforced such as disallowing multiples of the same formation or limiting Lords of War. Some Tournament formats such as the ITC produce their own FAQ’s and impose their own limits on abilities and limits for their events. Astronomi-con while generally very open to using existing units and rules sometimes has to put a few of its own ‘fixes’ in place to address rules oddities, or potentially abusive combinations. As such we have two such items listed on our FAQ page. 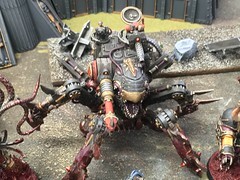 One item gives new rules for the Lucius Drop Pod produced by ForgeWorld. The second restricts the ability of units embarking in Allied transports and Independent Characters joining Allied units. These changes have been made in the interests of fun thematic gaming and to downplay potentially abusive combinations. In an effort to ease questions about what is and is not allowed with respect to codices, units, and formations for Astronomi-con we have simplified things somewhat from our inclusive list of codices and supplemental rules. 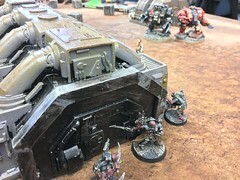 Astronomi-con has always been about including as much of the 40k universe as possible within the scale and scope appropriate to the points level being played with the goal of encouraging narrative thematic fun games for all participants. To address the questions of what units and codices are allowed, we have opted to do away with the 30-day restrictions on new releases. Currently it seems new units with their rules are made available almost every week via White Dwarf, in advance of a codex release. If a unit has complete rules available then they are permitted. 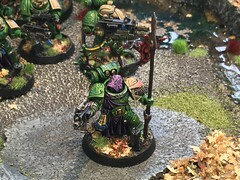 If a unit is released with an incomplete set of rules – such as referencing special rules or wargear that has not yet been released then that unit will not be permitted. 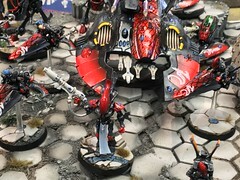 All currently published Codices, Dataslates, Formations, Supplements, and their associated FAQ’s will be permitted unless otherwise noted on the Ruleset page. 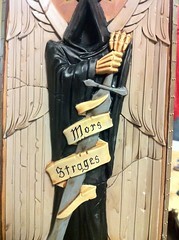 This also includes Forgeworld Imperial Armour books, Experimental rules, and their related FAQ’s. 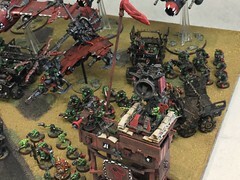 Black Library hosted rules are also permitted. Check the Ruleset page for complete information! At long last we now have a comprehensive list of codices, supplements, dataslates, and Imperial Armour books cataloged on the Ruleset page. 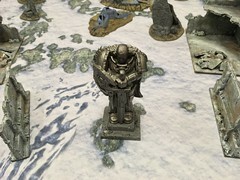 Players may select their armies using units and formations from these sources, following the tournament rules for Army Selection. This list of approved sources of units is now over 60 published sources, so players have an unprecedented amount of choice for how to compose their armies. Army lists must be submitted to the organizers for validation so when preparing your list be sure to note the source(s) that your force is selected from. 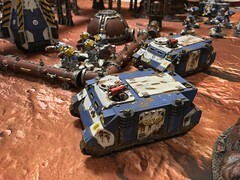 There have been a lot of changes to the 40k ruleset over the past year, and it has been a great deal of effort to organize and present this list. So should something not be listed, please let us know. 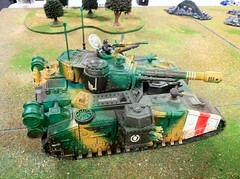 As Imperial Guard players transition to the new Astra Militarum codex, while much may seem the same, many things have changed. I’ll be posting a series of articles about some of the units which have seen changes and hopefully provide some insights, tactics, and general information about how the unit has evolved.